The magnetic north pole is, reportedly, drifting fast away from the Canadian Arctic and towards Russia. What are the two poles on earth? The Earth has two pairs of north and south poles. The geographic poles are defined by the axis around which the planet rotates, and these are fixed. The Earth behaves much like a giant bar magnet and this behaviour defines its magnetic north and south poles. What causes the magnetic field? 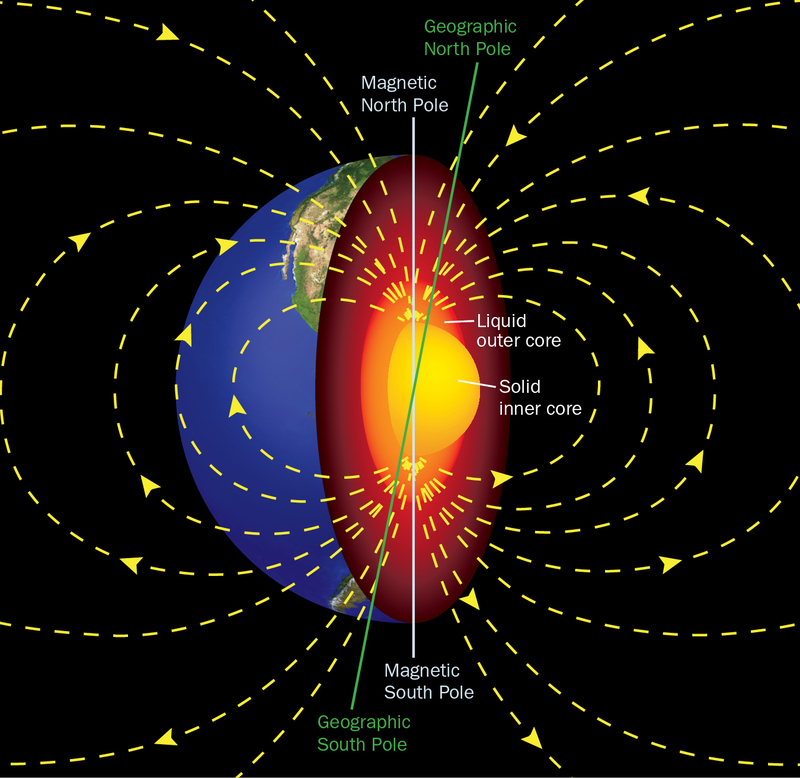 The origin of Earth’s magnetism lies in its outer core which is a more than 2,000-km layer that surrounds the central core or the innermost part. The outer core is comprised of liquid iron and some other metals like nickel. This liquid iron is in constant motion due to Earth’s rotation and various other reasons, and this motion produces a magnetic field. How have the positions changed? The constant motion is the reason for the magnetic poles to not coincide with the geographical poles. It is also why the Earth’s magnetic behaviour is far more complex than that of a simple bar magnet. 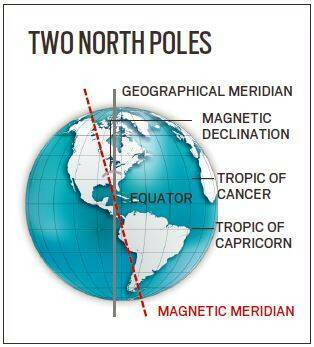 Resultantly, the magnetic north poles and south poles move around sometimes erratically. Over large periods of time, they change their locations significantly, sometimes even interchanging their positions. Around 780,000 years ago, the magnetic north pole was getting somewhere near where the magnetic south pole currently is. But this time period of shift in positions is not fixed. What is the recent development? 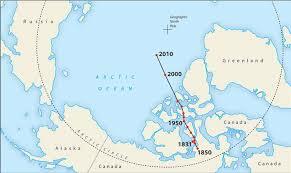 In 1831, it was discovered that the magnetic north pole was located somewhere over northern Canada. Since then, the magnetic north pole has been moving hundreds of miles across the Canadian Arctic towards Russia. It has now been found that the pace of this movement has suddenly increased, quite significantly. It has been moving from about 14-15 km per year till the 1990s to about 55 km per year in the last few years. This, now, led to scientists updating the World Magnetic Model (WMM) that tracks this movement. Every 5 years, a new and updated version of the WMM is released; the current update is a year ahead of the schedule. The faster movement of the magnetic north pole had made WMM so inaccurate that it was about to exceed the acceptable limit for navigational errors. Given the extremely hot temperatures, the phenomena happening inside the earth can only be studied indirectly or through computer modelling. So the causes for the fast movement are uncertain yet. But the shifting of magnetic north pole would throw some new insights into the phenomena happening deep inside the Earth’s surface. A standalone school compass would not be affected by this change. It will reorient itself to the new resultant magnetic north pole. But given its less precise nature and deflections due to local magnetic fields, this is no longer used for modern requirements of navigation. The compasses that are used in modern instrumentation are much more sophisticated, digital and more accurate. The entire transportation sector, especially aviation and shipping, depends on correctly knowing the position of magnetic north. Similarly, it is crucial for militaries, for firing their missiles or for other purposes, and other civilian applications as well. The compasses now have to be recalibrated to reflect the change in the magnetic north pole. The WMM has released a set of software that will update these instruments to the new positions of the magnetic north pole. Prelims Mock Test Series 2019. 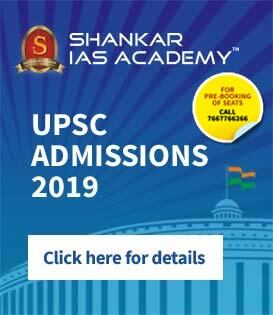 27 Our questions reflected in UPSC 2018 exam. Online and Classroom.